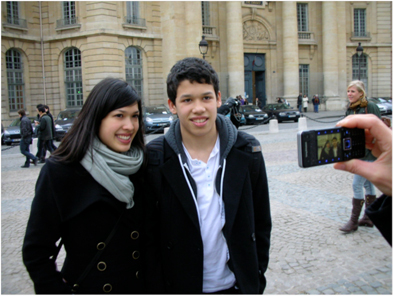 Visiting Lara in Paris while she was enrolled at the Sorbonne for a semester during her gap year. 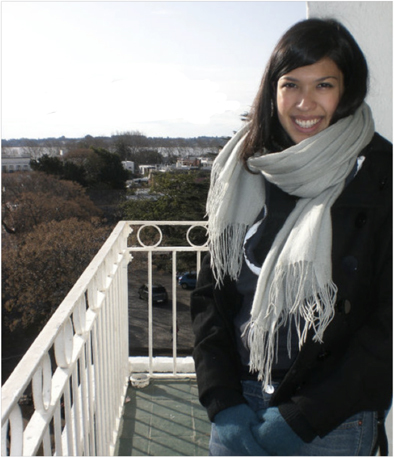 For Lara, studying was a breeze after waitressing at a Lebanese restaurant in London for 4 months but we missed the baklava that came with the job! 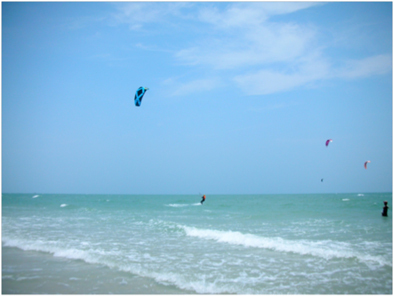 And he’s up… Sebi, kite-surfing off into the horizon- literally- in Hua Hin, Thailand. This was before he had to be rescued and Boi had aged 10 years with worry. 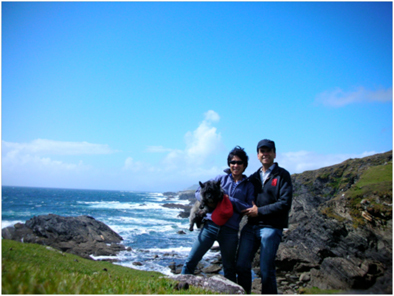 While Lara and Sebi were off doing other things, Oscar was only too happy to have our undivided attention during a hiking trip around Ireland! Hiking in Ireland or Football World Cup? 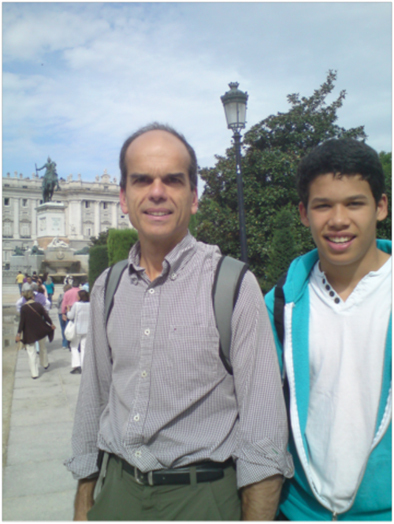 Sebi had a fabulous time with Austin, Aaron and Nisha in South Africa. 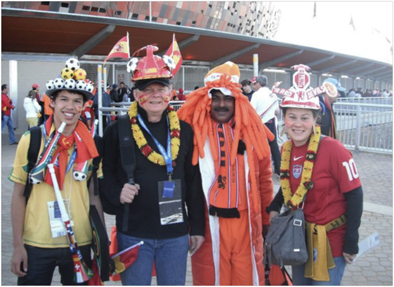 And no, Aaron hasn’t changed that much… that’s just a Holland supporter. Lara didn’t get to see warm weather this year as she went from London to Paris to Buenos Aires so essentially experiencing a year round winter . She had a great time doing a Spanish language course combined with volunteer work and this was topped off with 2 weeks of back packing around Argentina with her cousin, Nina. Sebi was ‘too ill to go to school’ so that he could join us for a long weekend of good food, good company and great wine at our friend’s 50th birthday celebration at their vineyard in San Clemente, Spain. 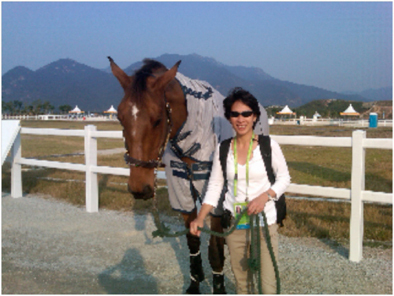 Boi with Chai Thai, her niece’s (Nina) horse, at the Asian Games in Guangzhou, China. No Boi wasn’t competing, she was there cheering on Team Thailand onto a Silver Medal in eventing!! 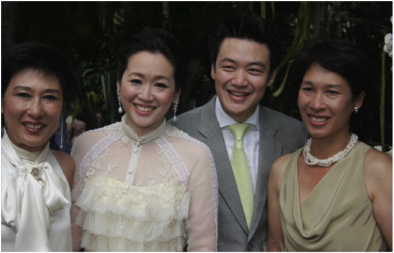 Boi went to Thailand to celebrate Pomme’s (her niece) engagement. Copious amounts of champagne helped to dull the pain of borrowed high heels! 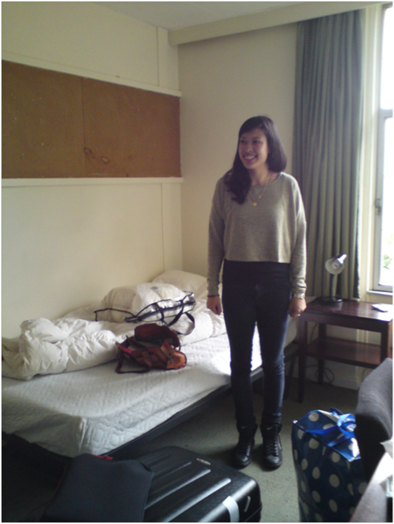 Our most significant, if not exotic, trip this year was to Bristol to drop Lara and her things off at university. Stefano and Boi miss having her at home and we are sure that Sebi would miss her more if he didn’t have unfettered access to her double bed.